Location, location, location! 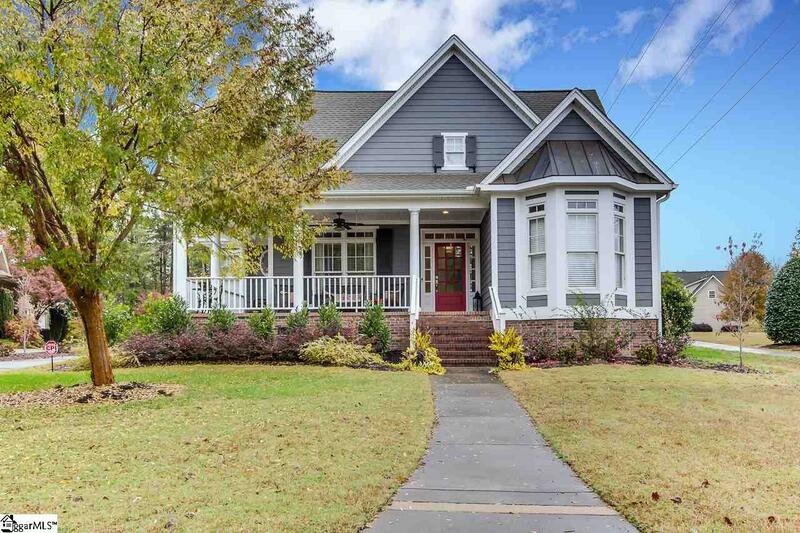 Minutes from 385 and i85 - Next to the best shopping and dining in Greenville and zoned for the best school districts the state has to offer! 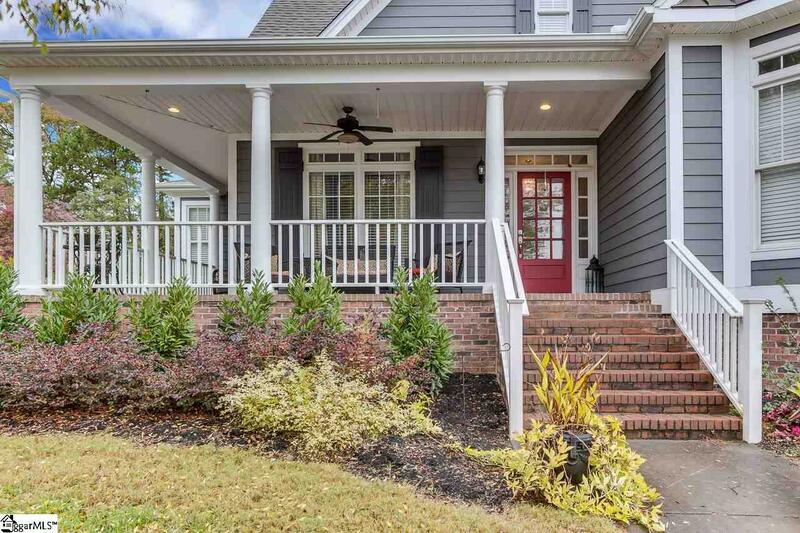 This home has it all, it's nestled in the back of a cul-de-sac in the esteemed Bells Grant subdivision. 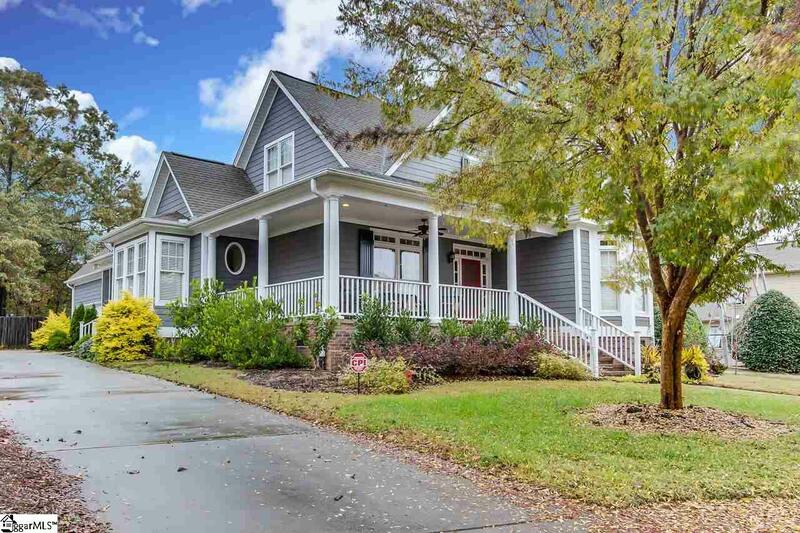 This community is best known by it's Charlestonian styled custom built homes. 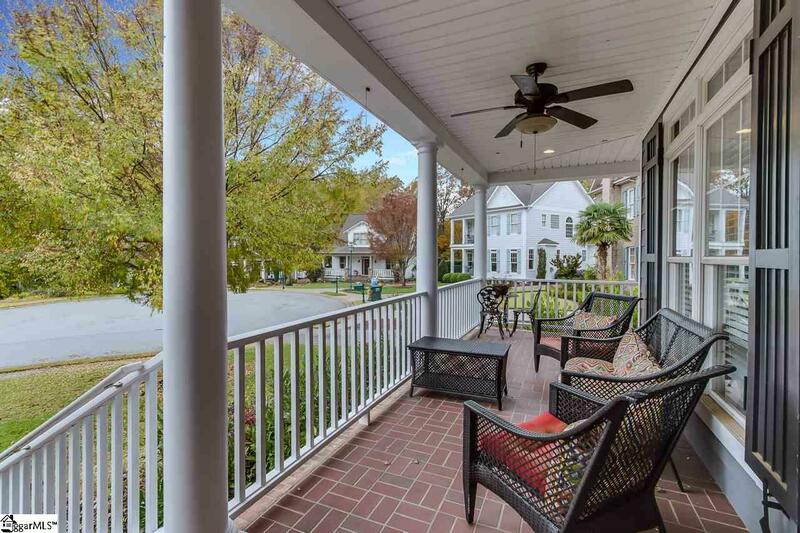 When you walk up to this beautiful wrap-around porch with fresh landscaping and mulch, it welcomes you and your guests into a comfortable and calm setting - perfect for a large front porch swing. Also, the entire exterior of the home had new paint in 2016! The front foyer escorts you into the home with updated lighting and freshly stained hardwoods which can be seen throughout the home! A spacious dining room connects to the kitchen, making entertaining a breeze! The kitchen has been freshly painted (as well as the entire main floor). The cabinets have also been freshly painted inside and out. There is a dine-in breakfast nook off the kitchen- completed with a gorgeous pantry (outfitted specifically for your favorite wine fridge!). From the kitchen you can easily glide into the main level family room (yes, there are two!). The living room offers custom built-ins as well as a classic fireplace and mantle -making holidays cozy and inviting for the entire family. Also, you can access your private screened-in porch from either the kitchen or through the french doors from the family room! From the living room, you can walk into your master which is on the main level. This huge Master spanning along the back of the home for optimum privacy has custom plantation shutters. The on suite has a sizable walk-in closet, double sinks with loads of storage and a private water closet. Across from the master bedroom is the laundry room with tons more storage and a sink- very convenient! On the main level you will also find two additional bedrooms with large closets and one with a beautiful bay window. There is a shared full bath for those bedrooms as well as a half bath under the stairs for guests! On the second level you will find a HUGE bonus room spanning 20'x31'! The current owners use this space as a media room, playroom AND has room for exercise equipment! The second living area also has an additional walk-in closet and new custom shelving. This level also has a bedroom with a large walk-in closet and full bathroom. You can also access a large floored attic spanning 27'x30'! It's also worth mentioning that there have been no animals in this home throughout the ownership of the current owner. The attached 2 car garage offers enough room to store equipment and have a working table. There is a fenced backyard with tons of potential for anyone with a green thumb! The best part of this property is the backyard backs up to the community playground and walking path! This little neighborhood has a tight community with shared events such as Halloween picnics, Easter egg hunts, and Santa is hired for the kids at Christmas! Fridge and wine cooler are negotiable. Seller will do touch up paint where mirror stood in master bedroom. Listing provided courtesy of Hannah Johnson of Impact Realty Group.